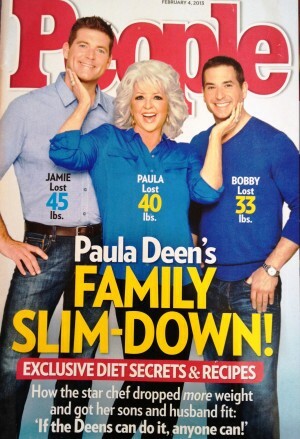 Who Won Paula Deen’s Family Slimdown? I”m a magazine whore. I admit it. I have a whole stack of half-read magazines at the foot of the bed. Vogue, Origin, Whole Living, VegNews, and well, a little ashamed to admit to this one: People. Paula Deen graced the cover a few weeks back. Best tip: Have a cheat day. You can’t deprive yourself all the time. I don’t advocate the cheat day thing. When I did Body for Life in my dieting days, there was a cheat day. I picked Sundays but found I just couldn’t stop there and my cheats lasted until Wednesday. Then I would plan to start over again the next Sunday. Then there were some Sundays I didn’t want to cheat so I moved to Mondays. I feel the cheat day puts a negative spin on your efforts and can lead to falling into a crazy cycle of starting and stopping momentum. Best tip: Bring low-cal salad dressing to restaurants. Ahhh, I thought all the low-cal stuff was over and done with. But it looks like people still buy into it. I do agree with Michael when he mentions there are a lot of fats in the dressings. In fact, getting a salad at McDonald’s is worse than a hamburger due to the fat content in the dressings. Don’t bother bringing anything. Scope out the menu before you go, decide on what you will eat, and then enjoy your dinner. If you do get a salad, make sure it is pumped with tons of veggies and ask for vinegar, olive oil, even some lemon juice for a little jazzing up. You can also ask for the dressing on the side (which I’m famous for) so you can make sure you don’t slather the salad. Best tip: Weigh yourself daily for motivation. If I’m up a few pounds I drink more water and have salad for lunch. I threw my scale away and never looked back. I have no idea what I weigh. I am better now at tuning into my body and eating foods that make my soul light up like green juice (sounds corny but I really say out loud, “Oh my goodness! This is so goooood!). This all took a very, I mean VERY, long time, but I was determined to feel good in my body and not judge myself on how much I weighed. Life sucked like that. Jamie did say this, which I agree with when it comes to portions: Eat like a 6 year old. Kids know when to stop. They start to feel full, decide they are done, then off they go. My son Jack is really good at this. He could be eating a chocolate cupcake and just stops when he is done, with half of the cake still sitting there. Amazeballs! Best tip: Be creative. I make parsnip fries instead of French fries. Oooh, I need to get his recipe for those fries! I like his thinking. Just like we do here at Whole Health Designs, we alter recipes using natural sweeteners, gluten-free options, and develop cleaner versions of old time favorites like mac-n-cheese, tacos, pizza… It can be done and deliciously, too. He mentions, “Eighty percent of the time I’m careful about what I eat.” Oh yeah, you know I’m all about the 80% of clean, 20% letting go. 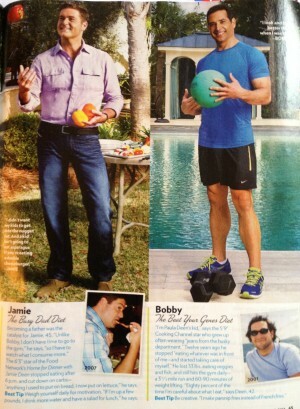 Bobby also works out on a regular basis. He moves his body to keep the metabolism boosted and endorphins flowing. He does, however, go to the gym 7 days a week. I’m not sure if that is realistic for most of us or even recommended, but at least he is motivated. What are the best take-aways from Paula’s family “slim down”? 1. 80/20 guideline. 80% of the time you eat and live as clean as you can, the other 20% let go. No human being is perfect and trying to do so is just setting yourself up for failure and heartbreak. 2. Move that body of yours. 3. Get your family involved. 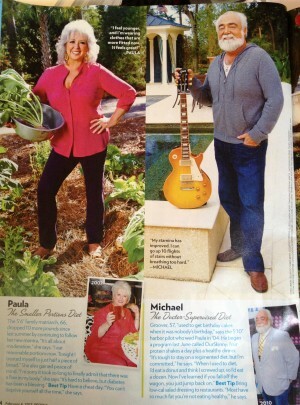 I just love how Paula and her family are doing this together. It’s much easier and fun if the fam gets in on the clean living action. 4. Do what works for YOU. As you can see, all family members are doing what works well for them…not following a certain diet plan or going Paleo (which I am going to really dive into this topic soon). Even if I don’t agree with some of their tips, I respect that they are working towards feeling happy and healthy for the long run. I’m going to pick Bobby since he embraces the 80/20 guideline (no rules here), works out, and is creative in the kitchen to set himself up for success. All are winners, really, but if I had to pick, then Bobby because he seems to have an overall comprehensive way of making changes. Also, I’m curious. 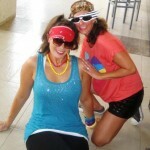 What is your best tip for staying healthy and living it up with the clean life? What is one thing that is working for you? 6 Responses to Who Won Paula Deen’s Family Slimdown? I agree, Bobby wins! He has his own show now on a cooking channel, called something like “not my mama’s cooking” and has a recipe book coming out…he takes some of her traditional dishes and modifies them to take out some of the fat and calories..very interesting to watch and take note. Bobby gets my vote too! His show’s been on the air for at least a year or two. I’ve never watched it – not popular with my guys here at home…. The tip I share with clients (I’m a Holistic Nutritionist and Health Coach) is don’t try and cut too much out when you’re just starting out. 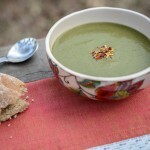 The thing to do is put a lot of good stuff into your body – it will crowd out the bad stuff. Your body will get so excited and feel so good it will ask you for more of the good things you’ve been giving it. You won’t even miss, or realize for that matter, that you’re not eating so much bad stuff. 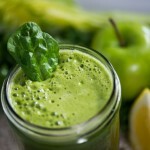 Start with a green smoothie in the mornings or a large salad for lunch and go from there. Guess it boils down to listen to your body and do what works for you – within the “good stuff” parameter of course. Okay, Bobby it is! I heard his show is great. Crowding out is one the best advice to give someone who wants to move toward the clean life. Love your strategies, Lucy! Right on! I pick you, Lisa! Love this post, love your insights and especially love how you took this piece from the media and made it practical for real life folks. I haven’t owned a scale in over a decade and go by how I feel! Thanks so much for sharing. Ha, I like your vote, Kristen! Thank you so much for your kind words and I’m with you about that scale. I think it is evil! Love you lots.